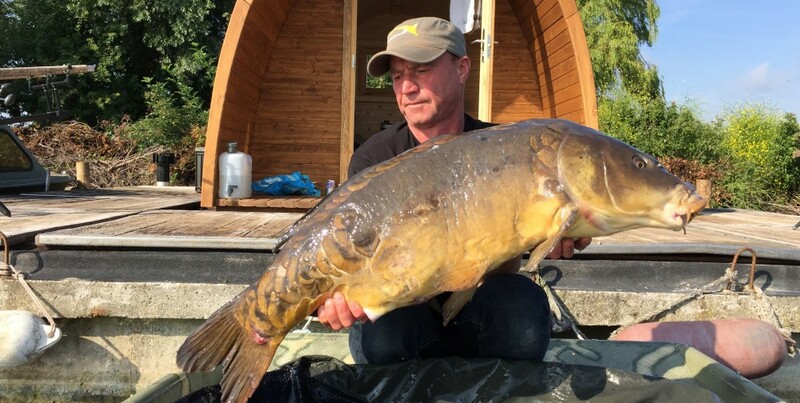 Catch your PR by Flexible Carpfishing! 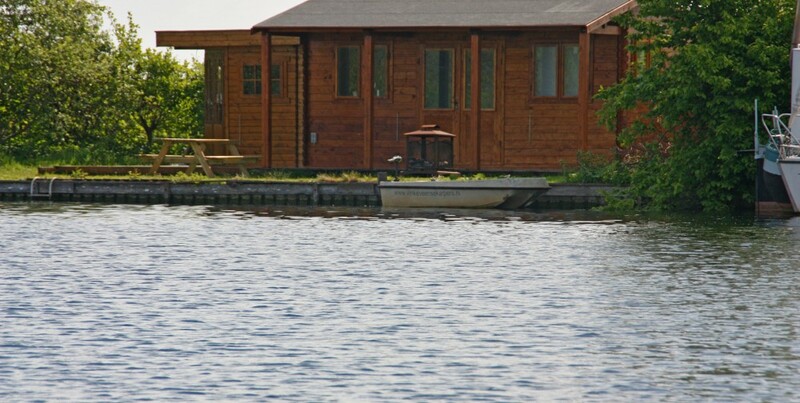 French fishing experience in the Netherlands Luxury Chalet! 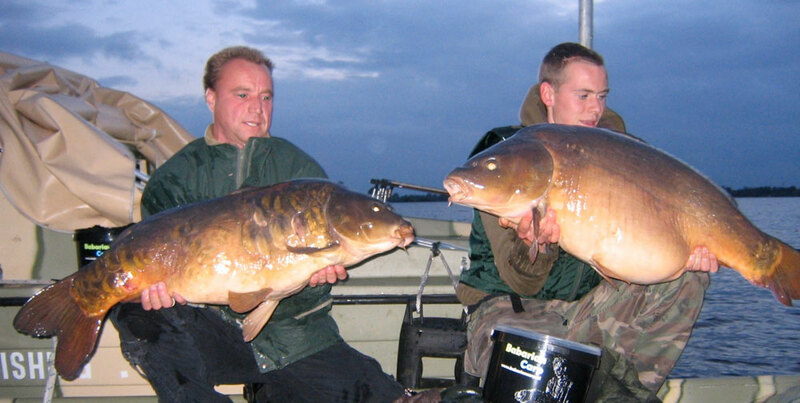 Since 2007 Flexible-carpfishing has been engaged in providing fishing holidays on the Vinkeveense plassen. 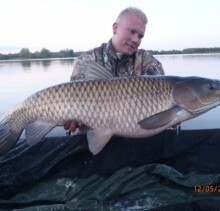 Sharing a common passion for carp fishing and especially fishing big water was more than a hobby. In 2010, parts of the lake were also leased in which we could build more “private sites”. With the purchase of a number of fully equipped fishing boats we made it possible to offer the ultimate fishing experience for our clients. 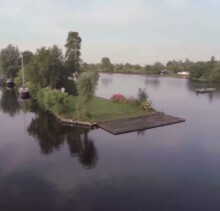 In 2012 they bought a few islands with which the offer was more complete. 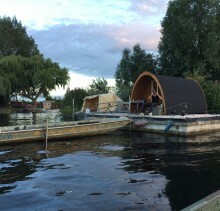 ‘s called “Campingpod”. This is a beautiful wooden cottage on a large platform. The campingpod XL is equipped with 220-volt electricity so you can charge your batteries, your phones or bait boat. 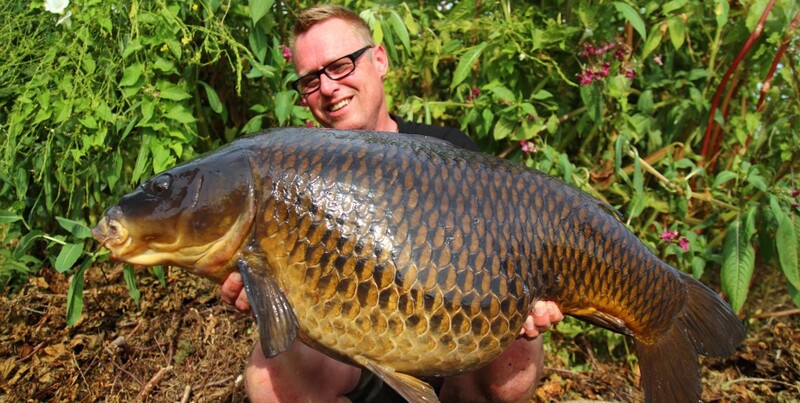 Vinkenveense plassen is 2500 acres of crystal clear water and home to some of the most stunning carp in Holland. The lake is packed with features, islands, bridges, marinas and the depths vary from a few feet to 100+ feet. And there is more, with mussel and weed beds of various vegetation, reed lined and rock lined banks, gravel bars and plateaus, there is a challenge for everyone here. The water quality being so good, it is no surprise that the carp caught here are often big, healthy and extremely strong, add this to the fact that the water is so clear and the fish are often fish that have not seen a hook before due to the size of the water, you can be sure once you are connected to one of these carp you will be in for a fight to remember. 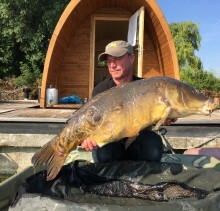 This lake produces large common and mirror carp with a lake record currently standing at 66lbs with the big fish 50lb+ are often beautiful warriors. 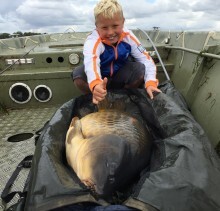 Whilst 20+kg fish captures are not un-common, this is a venue where there really is an element of the unknown and if this water should produce a new Dutch record carp, we really would not be surprised. Some anglers like to book this venue and do their own thing. This is great if you are an angler that has plenty of experience in fishing waters of this size with boat traffic and who is competent and confident using a boat. However, we recommend you take advantage of our guide Freek Stevens who has lived around this water his whole life. 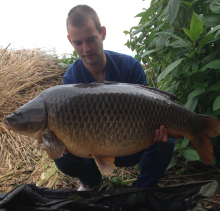 Not only is he one of the most helpful guys you could ever wish to meet, he is also an extremely competent big water carp angler and knows this water like the back of his hand. 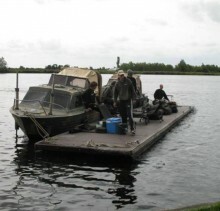 As our customer, you will be picked up on the mainland and taken to your site with a large aluminium flatboat. Upon arrival at your site, we will explain everything to you and we will give you information about what we believe is a must to have the best chance of success. At the end of your fishing trip, you will be picked up again. 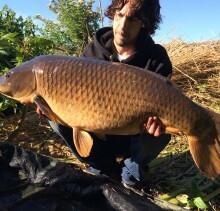 The owner, Freek Stevens, is a very talented diver and camera man as well and both these skills help him keep in touch with the carp by looking for them whilst diving and setting up under water cameras to monitor areas from the banks. I really don’t know of any other guide that goes to these extremes to try and help customers get on the fish. 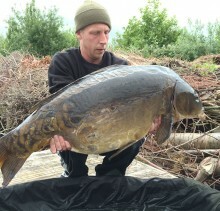 Freek is also a member of Carpcrossing. Freek Stevens will be the man who will look after your needs at this venue, whether he is guiding you or not, if you forgot to bring a piece of tackle or need extra bait etc, you can purchase it from him and he will be only too happy to drop whatever you have purchased to your fishing site at the end of his working day. We recommend dinghies with outboard engine available for rent with any option you choose to help set up your lines and play fish etc. All our sites have been carefully selected with the help of Freek and Angling Escapes to ensure we have the hot spots and have you covered wherever the fish are. All sites cover plenty of water and features so your fishing will never be restricted by space. After several years of fishing and feeding, we have opted for the quality bait of MTC Baits, which we also recommend to our customers. Ofcourse you are free to use your own favourite bait, however the results with MTC baits are more than good, given the number of carp which has been caught in recent years. The local area is a relaxing place to walk around, with many different shops all at walking distance from where you can moor your dinghy, including a medium sized supermarket, friendly bars and restaurants. At most places people speak English and are more than happy to do so. Although you would never know, you are fishing at just a 25 minute drive from Amsterdam, so if you fancy some sightseeing to break up your week, it is the ideal opportunity to visit the capital and do some shopping. We recommend a ferry to Hook of Holland (Rotterdam), as from there it is a quick hour’s drive to your destination. All our fantastic underwater pictures, sites and other images that have been made over the years can be seen on the YouTube channel Flexible-carpfishing. If you follow us on www.facebook.com/Flexiblecarpfishing you automatically stay up to date with all the news and our actions. So, if you are dreaming of a fantastic fishing holiday in our beautiful country with great carp, do not hesitate to ask about the possibilities. Everything is possible! It’s your vacation! For the experienced angler there is the complete freedom of boat fishing, either with or without a guide, but there is also the opportunity for people who want an accommodation with all comfort. 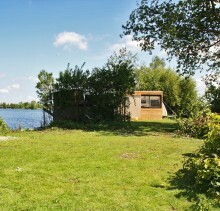 Vinkeveense Plassen really is the ultimate Flexible carpfishing holiday.